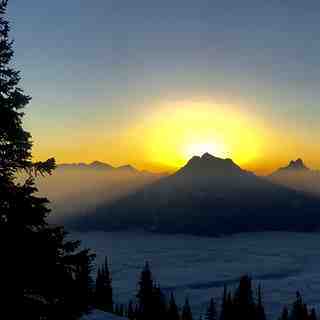 Schneit es monentan in Revelstoke Mountain Resort ?Vielen Dank! 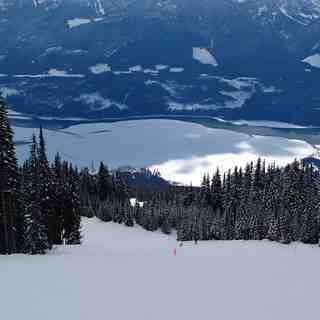 Revelstoke Mountain Resort boasts North America's greatest vertical at 1,713 metres (5,620 ft). The resort also offers 3,121 acres of fall line skiing, high alpine bowls, renowned gladed terrain and endless groomers, as well as family fun in the Turtle Creek Tube Park and Beginner Area; featuring day and night skiing in the centre of the Village. 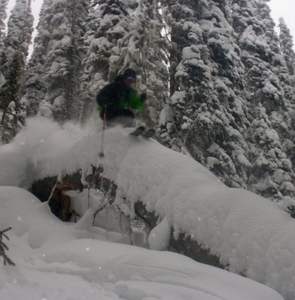 Revelstoke Mountain Resort is the only resort world-wide to offer lift, cat, heli and backcountry skiing from one village base. 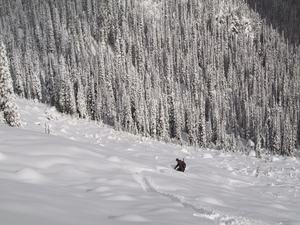 Annual Snowfall: 30-45 feet. Dining facilities are The Rockford Wok | Bar | Grill, La Baguette and The Mackenzie Common at The Sutton Place Hotel, espresso bar, BBQ & cafeteria at Revelation Lodge and Mackenzie Outpost at the top of the Revelation Gondola. Snowmaking on lower mountain. Plus there is a terrain park and 'Gnome Zone'. Nordic/XC is nearby. Slope-side accommodation: The Sutton Place Hotel. 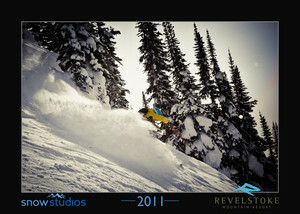 Revy has the biggest vertical in North America. As the town is in a rain forest, the vertical brings tons of snow up high. It can be a confusing area for new folks but hook up with a local or guide from the hill and the place is amazing. The town has an amazing vitality to it as many 20 something folks are moving in from all over Canada to enjoy the special vibe that is here in town. A good tip would be to fork out the extra $40 for fresh tracks after a dump... yahoo. Lesen Sie 103 andere Beurteilungen ueber Revelstoke Mountain Resort oder geben Sie Ihre eigene Bewertung ab.